Can U.S. cut off Iran's "oxygen supply" via UAE? Judging by the experience of pre-JCPOA sanctions, the US and its allies failed to completely isolate Iran. A number of states, including China, India, Russia, Turkey, the UAE and some others, took a large niche of the European Union in Iran's foreign trade. Now, despite newly imposed US sanctions, Iran still has a number of windows for inflowing oxygen to its economy, which is struggling to survive. The UAE – a country in Iran’s top trade partners and a major hub for the Iranian goods – is one of those windows. The UAE has been one of Iran's most important foreign trade markets in recent decades. During pre-JCPOA sanctions, Emirates became the main transit country for foreign imports to Iran. In 2017, exports and re-exports from the United Arab Emirates to Iran totaled $17 billion. The UAE used to state in the past that it fully supported the policy of the US sanctions against Iran and its commitment to this policy. On Saturday, the UAE’s minister of state for foreign affairs, Anwar Gargash, said that Iran’s “aggressive policies” were “largely responsible” for the reimposition of U.S. sanctions on Tehran, Reuters reported. However, despite the harsh criticism of Iran, support for sanctions, territorial dispute between the two countries over the ownership of the three islands in the Persian Gulf, withdrawal of the Ambassador and lowering of the level of diplomatic relations in January 2016, Iran-UAE trade relations remain at a high level. Apart from crude exports, making bulk of the country’s revenues, and which President Donald Trump decided to minimize by any means, Iran sells a range of other, non-oil goods. Last fiscal year (March 21, 2017 - March 20, 2018) Iran's non-oil trade with the UAE reached $ 16.83 billion, which is 21% more than a year earlier, according to the Iranian Customs administration. Iran exported goods worth US $ 6.76 billion to the UAE during this period. The country also imported goods from the Emirates worth $10.06 billion, an increase of 57.1 percent. The export of Iran's non-oil goods has reached $27.229 billion over seven months of this Iranian fiscal year (started March 21, 2018), increasing by 13.35 percent in terms of value compared to the same period of last year, head of Iran's Customs Administration Foroud Asgari has recently said. During the reporting period, Iranian products worth $4.637 billion were exported to United Arab Emirates, whereas imports from UAE accounted for $3.932 billion. 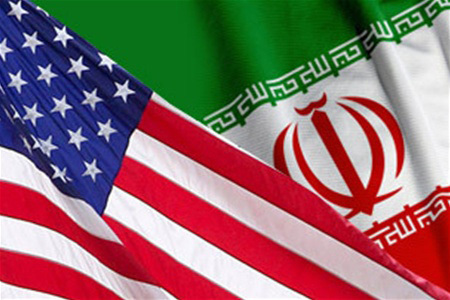 However, most of all Washington is beware of Iran’s use of the UAE financial system for illegal currency transactions by Iran-affiliated money-exchange houses and shell companies, knowing Iran’s significant presence in the UAE and the role of a money-exchange channel which the Emirates had played during the previous sanctions regime. On May 10, the UAE Cabinet has issued Ministerial Resolution No 24 for 2018, designating nine Iranian entities and individuals on its list of terrorists and terror organizations. They have been designated for procuring and transferring millions in U.S. dollar-denominated bulk cash to Iran’s Islamic Revolutionary Guard Corps-Quds Force (IRGC-QF) to fund its malign activities and regional proxy groups, while concealing the purpose for which the U.S. dollars were acquired. The designation came following close collaboration between the UAE and the United States, the Gulf media outlets reported. On October 30, days after the visit of U.S. Treasury Secretary Steven Mnuchin, the UAE has passed a law to combat money laundering and terrorism financing, Reuters has reported. The law, which is in line with the requirements and recommendations of the Financial Action Task Force (FATF), recommends the establishment of an independent financial information unit within the central bank to receive and investigate reports of illicit financing activity. The UAE has been tightening its financial regulation to try to close regulatory gaps and overcome a perception that it is a hot spot for illicit money flows owing to its raft of free trade zones and geographic proximity to Iran, according to Reuters. Previous US sanctions imposed this year on Iran have forced a part of Iranian businesses in the UAE to move to other countries, international media outlets notice. However, despite the US pressure, Iran remains optimistic about its trade relations with the UAE. Iran and the United Arab Emirates have an exchange level of nearly $20 billion, which can hardly be replaced, Masoud Daneshmand, head of the Iran-UAE Chamber of commerce has recently told Trend. “If we look at the Iran customs statistics, the volume of our exchanges is approximately $14 billion, while this amount is $20 billion in the UAE customs, because some goods are not registered in Iran's customs, but it is registered in the UAE. Therefore, Iran and the UAE cannot easily replace this $20 billion,” said Daneshmand. “According to 2017 statistics, there were nearly 800,000 Iranians in the UAE who played a major role in UAE`s market,” he said. “People who are already involved in business in UAE know some of the challenges and conflicts which can come into play and are related to the rules and regulations of this country, otherwise many Iranians live in the UAE without any problems. Of course, a few people are exaggerating the issues,” said Daneshmand.